As a recent resident of Boulder, Colorado, I discovered that when traveling to a brand spankin’ new place to live (sans companion) there are three essentials to secure as soon as possible. Lest you be prepared to camp, the first necessity is to find a place to sleep and store the material possessions you have dragged with you. This can be accomplished in several ways. You can do a quick stalk on Facebook to find people you know that live in your intended destination. You can peruse CouchSurfing.com to see who looks normal enough that you can sleep on their sofa without stashing pepper spray underneath the cushion. Or, as in my case, you can do a Craigslist sublet. The problem with this last one is that you are ignorant as to what the living conditions will be like. Read: Three male roommates who attend Colorado University. Read: Feet sticking to the beer-soaked floor of the kitchen. The second thing you need to find is a job, which is motivation enough because the last thing you want is to come crawling back, defeated, to your place of origin. And arguably the most important aspect of moving: You must find a coffee shop to frequent — 0ne where you can spend those first lonely nights writing, trying to stave off the feeling that you made a huge mistake relocating. For the brave souls who want to move to Boulder, visit Boulder, drink coffee in Boulder, or just plain read about Boulder, I give you the top five coffee shops in Boulder. Laughing Goat nears perfection. The interior is large, making the risk of claustrophobia low. You can infallibly find a seat with an outlet in your radius and another caffeinated patron willing to keep an eye on your laptop while you dash to the bathroom. The atmosphere contains the constant din of affable, genuine exchanges and the musical choices range from the mellow Velvet Underground to the worldly Putumayo club. 4 p.m. is happy hour: The wine and beer list is procured; $3 drinks are purchased. An event occurs every night. It’s mostly free live music, but the Kerouac-loving owner of the nearby used bookstore runs open-mic poetry night on Mondays. The baristas remember your name, and what’s more, you want to learn theirs. In essence, Laughing Goat eases the newcomer into Boulder with the most welcoming of hands, and (however cheesy it may sound) fosters friendship. The clientele who frequent Ozo are self-described coffee geeks. You have the option of ordering a Chemex, a Pour-Over or (gasp!) run of the mill drip coffee, among many other exceptional beverages. Ozo has an extensive selection of muffins, scones and croissants, as well as hearty breakfast burritos, bagels and oatmeal. Arguably the roomiest coffee shop on Pearl Street, the noise level has a tendency to rise above the acceptable amount of decibels, rendering the café unable to support a focused writing environment. 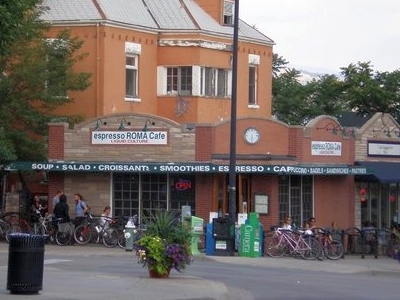 Espresso Roma is rather rough around the edges. From it’s façade it has a depressing and generic run of the mill peeling sign that discourages the ignorant passerby from entering. 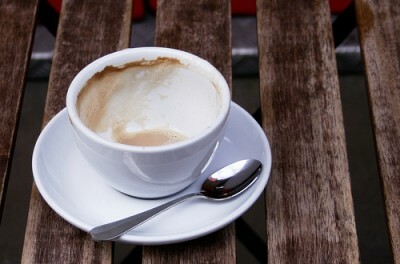 One must venture in on the recommendation of a friend; or a severe and intense thirst for caffeine. It has a penchant for attracting an annoying amount of flies that buzz around your computer, and the interior provides a level of hygiene that is far from comfortable. But the baristas are friendly, the coffee phenomenal, the wireless signal strong and the apple crumb bread addictive. You get a certain type enjoyment poking fun at Espresso Roma, but you find yourself frequenting it day after day. Most commendable due to its adjacent nifty used bookstore, in Trident you will overhear philosophical conversations, animated discussions of acupuncture benefits and chats about the linguistic theories of Chomsky. True, there is a relatively small selection of pastries, but with a shaded outdoor patio, abundance of iced yerba mate and, lets face it, peculiar characters to people watch, Trident extracts your inner bohemian. Saxy’s has a great deal of admirable qualities. It is populated by freelancers typing diligently on their laptops, punctuated with the quiet conversation between the two friends catching up, explaining their charity work. The menu has a heavy food aspect to it, consisting of sandwiches, salads and hummus platters. My only qualm is with the decoration, namely those hideous crushed velvet curtains that are better suited to a period film of Victorian England. The loud, chatty baristas are another downside. But if a little background noise and nauseating drapery aren’t a bother, then Saxy’s is a respectable coffee shop. And in the event that drinking coffee is not your, dare I say, cup of tea, do not despair. Another post on the bars of Boulder will soon be conjured, after a healthy amount of research of course.